VIVA MEXICO MARIACHI ONE OF THE MOST IMPORTANT EXPONENTS OF MEXICAN MUSIC. 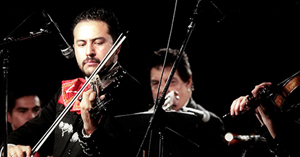 Viva Mexico Mariachi is one of a kind Multicultural mariachi band ensemble based in Toronto. It blends talent, charisma and experience in its professional, lively, energetic, outstanding and even virtuoso performances. 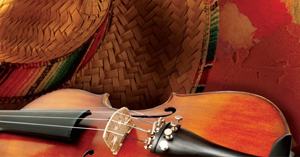 Viva Mexico Mariachi is a blend of classic and ethnic Mexican instruments: Trumpets, Violins, Vihuela, Guitarron and Guitar. 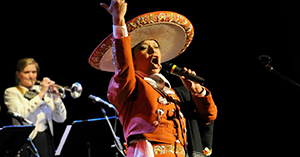 We congratulate to accompanny the powerful Mexican vernacular voice of Cecilia Guerrero. 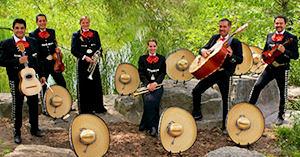 Is a unique multicultural phenomenon, Integrated by professional, talented and enthusiastic musicians coming from diverse ethnic backgrounds: Mexico, Peru, Canada, Russia, USA, Caribbean and French-Canadian roots, all of them committed and proud to belong to Viva Mexico Mariachi organization. Latin Grammy winner- (Toni Reyes Festival, Toronto, 2011).